The nerds Discuss Star Wars The Last Jedi. Cat returns after being ill, Spike has a lot to say about why he hated The Last Jedi. 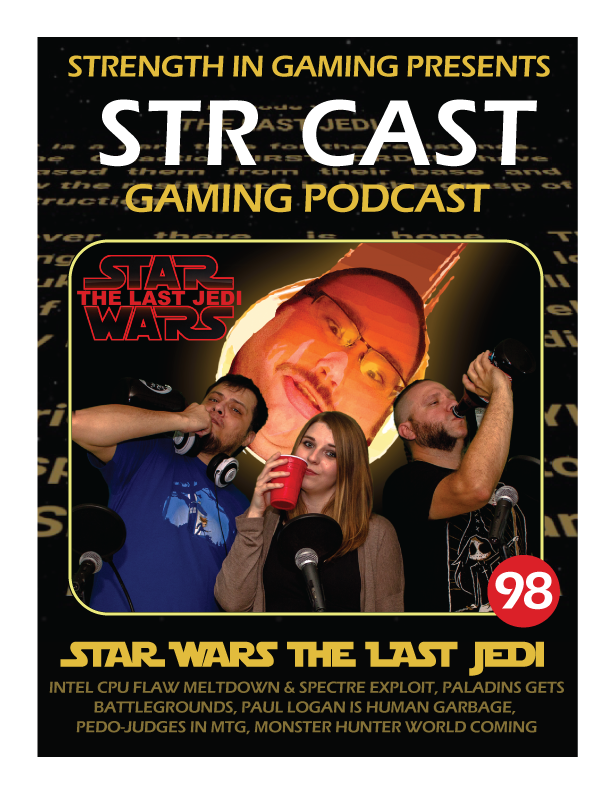 We also discuss the latest news: Intel CPU flaw - Meltdown & Specter exploit, Paladins gets battlegrounds, Paul Logan proves he is Human Garbage, Pedo-Judges in MTG wtf Wizards, Monster Hunter World comes out this month, Sal can't wait!